Of course we recognize Myanmar language as our lingua franca and all the ethnic communities residing in the country wants to be the components of the Genuine Union of Burma as envisage by its founder Bogyoke Aung San and is desirous to stay in the Union but not at the expense of the dominance of the Myanmar race over the other ethnic nationalities, who have become second citizens, All the ethnic nationalities combine together constitutes more than 50% of the population of Burma and so cannot be construed as minority. Hence the name Myanmar is both politically and phonetically wrong. Phonetically wrong because the name Myanma derives from the South Indian tribe of Mrama, where the legends have it that they migrated from there and should spell Myanma with no R in it, just like the word Mother in English where we don’t emphasize R. and call it mother instead of Mother. These days the media highlight is very much on Burma because of the triumphant victory of the pro democracy group headed by Daw Aung San Suu Kyi, over the evil USDP, the butchers of Depayin, silencing the regime sympathizers and the self appointed, foreign and local “realists” and “pragmatists ” who concluded that the lady was brave and admirable, yes, but a stubborn obstacle to reform than a representative of her people. But the latest election result is just the beginning. When authoritarian rulers embrace reforms they always do with the hope of retaining power rather than transferring it. At most, they are ready to share it only, so long as they can keep ultimate control behind the scenes. Real change comes, if it does, when events later slip out of the grasp of those trying to manipulate them. That was the story in South Africa, in post-Franco Spain, Eastern Europe and in Russia, where everybody knows that Mikhail Gorbachev was the last Commissar of the Soviet Union. It seems to be the story, too, in Egypt since the fall of Mubarak, and it is now the story in Burma today. In a few weeks time you will know of whether this is the first step toward a full democratization or yet another ploy by the sly Burmese Generals to co-opt and use the opposition led by Daw Aung San Suu Kyi. But this is not to decry the sincerity of the administration of President Thein Sein who at least have enough brains to know that nearly sixty years of military dictatorship is not working and that the country has drifted to become the 23rd. province of China’s autonomous region but in name only. Its overdependence on the Chinese aid, investment and diplomatic support for the survival of the military Juntas has offended most of the patriotic Burmese. The people of Burma have withdrawn from the sham that political life had become, and a pseudo-democratic makeover and a new class of Burmese officer corps, a nouveau riche has breed that dominates not only the armed forces but the government, the civil and diplomatic services, and much of economic life. It includes many whose hands are still soak with blood, who have systematically raided public funds and expropriated national resources. These people want both to retain their privileges and to avoid retribution. Naturally, they want the President to secure their privileges rather than to reduce them. Hence they pressure the reformist Thein Sein and this is the real motive, raison d’étre of why the current Burmese regime is so intent to change its image, from a pariah nation and targeted Sanctions and other punitive actions of the West. Obviously the regime wants the West to see Daw, Aung San Suu Kyi’s successful election and not the other part, hidden in the misty mountains and valleys of Kachin state and in the remote villages of the ethnic nationalities where people are happy living a simple life. There human rights violations are the order of the day where the marauding Tatmadaw (Burmese army) simply do what they want as they are the monarch of what they survey. Time has proven that the Constructive Engagement Policy practiced by the neighbouring countries and initiated by the ASEAN countries in prolonging the life of the Juntas, so that they can exploit Burma’s natural and human resources is not only detrimental to the people of Burma but also to the international community. On the other hand the punitive actions of the West particularly Sanctions and the resilience of the people of Burma especially the ethnic nationalities have fruition and have compelled the Honta to let Daw Aung San Suu Kyi to make a political come back. However there is still a long way. There are layers and layers of Sanctions and letting them go some small insignificant aspects as a sign of encouraging democracy is no problem but the civilized international community must be very careful not to put all the eggs is one basket. As even now the Tatmadaw Myanmar Army the second largest army in Asia, next to China, is a state within a state and will not listen to the government’s order of cease-fire as justifies by General Min Aung Hlaing on Resistance Day 27th March when he pointed out that that the Nargis Constitution of 2008 has allowed the army to have its own military tribunals independent of civilian jurisdiction, and who knows the Tatmadaw can stage a military coup as it often does and what we have achieved all these years can be overturn in minutes. 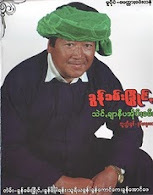 The Myanmar Generals can never be trusted as lying the very concept of truth has been practiced for scores of decades. But most importantly the Myanmar dominated government did not recognize the Union of the country which our founding father Bogyoke Aung San (father of Aung San Suu Kyi) has built so successfully with the concordat at the Panglong Conference in 1947. So they imprison his daughter, for nearly two decades and embarked upon the ethnic cleansing policy. Only Western Sanctions have compelled them to relent their hold. So to remove Sanctions and other forms of punitive actions at a time when the Burmese government is escalating its brutality against a long-suffering people, especially the ethnic nationalities would be unconscionable, unethical and unacceptable to the civilized world. It will also tantamount to condemning tens of thousands of innocent people to the mercy of a quasi military government who will now be entirely free from Western pressure and Sanctions. Besides the country’s natural resources is so abundant that it can stay as a hermit country for quite so long and the only lever which the Western powers have over Burma is Sanctions. Once, the West let go this Sanctions there will be no leverage to play on Burma and who knows the General will switch back to the military dictatorship. As even now the ultra conservative elements of the army including powerful senior generals are still very nervous about the resurgence of a very popular democratic opposition. This was proven when Khin Nyunt the former spy chief claim that he had save Daw Aung San Suu Kyi at the Depaeyin massacre was interrogated the next day. So side lining a relatively small group of fellow Reformists would not be too difficult considering that Thein Sein who will soon be a septuagenarian and be retiring in the next elections. Hence the West should refrain from lifting the major elements of Sanctions such as laundering of narco dollars via Western Corporate and ASEAN based banks and unfreezing the assets of those senior Generals who had rob the country’s treasury, until the elections in 2015. Just a mere suspension of some aspects of Sanctions to encourage the reformers will be more than enough for we will have to keep our hearts hopeful but our eyes open.